CinemaSpection: Return of the King? With Pacific Rim out this week, the mind turns to the giant monster movies of yesteryear that inspired it... and the greatest one of all who is scheduled to make a long overdue return to movie screens in 2014. But then, last time the mighty Godzilla visited America in 1998, the results weren't pretty. However, with Gareth Edwards, director of 2010's amazing low-budget creature feature Monsters, there is potential. 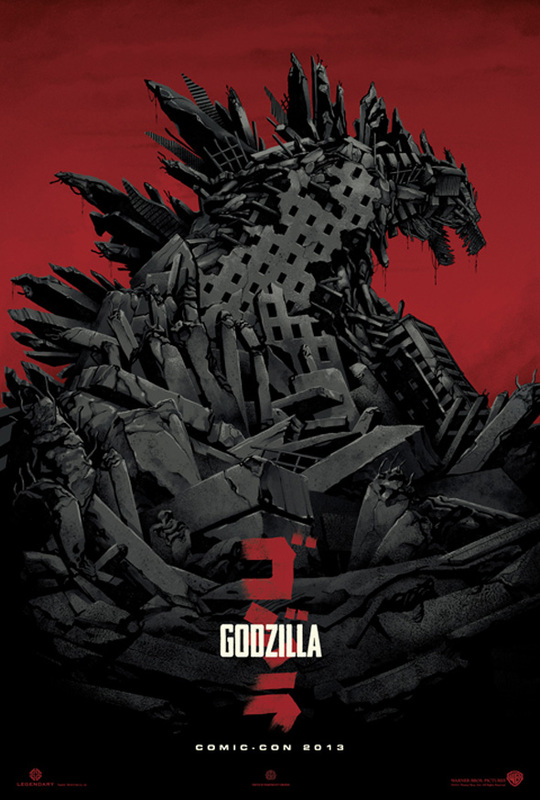 From the somewhat abstract design of this poster, it looks a lot closer to the Godzilla we grew up with. 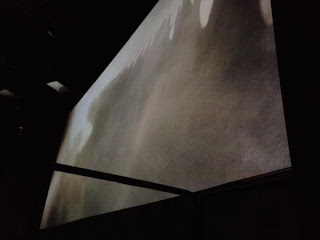 Toho put the irradiated dinosaur's film series on moratorium back in 2004 after Godzilla: Final Wars, so next year will mark both the 60th anniversary of the original film and ten years since he's been onscreen. Hopefully, we'll get some kind of legitimate look at what the Big G will actually look like this weekend.